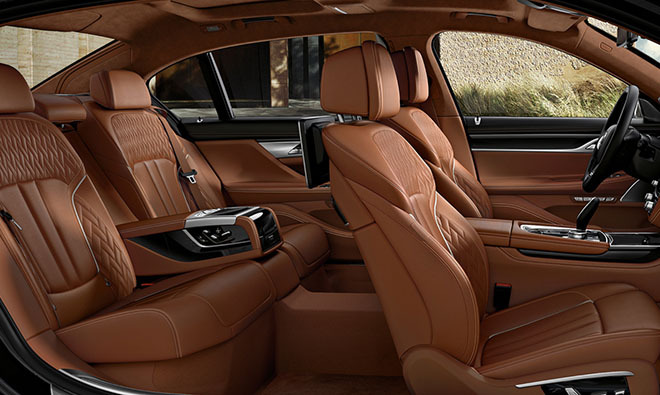 As the most innovative vehicle in its class, the BMW 7 Series delivers an unparalleled experience for both drivers and passengers through technology, comfort, and engineering. This class-leading luxury sedan, now available as an M Performance model and an iPerformance plug-in hybrid model, sets the standard for the future of elite travel while charging into an unimaginable realm of performance. It truly is the pinnacle of driving, innovation, and luxury. 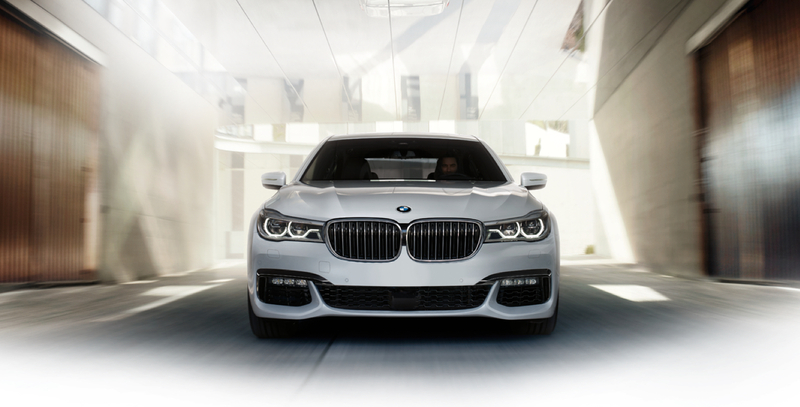 Now indulge yourself in BMW's flagship sedan. Stronger than steel yet 50% lighter, the Carbon Core provides the 7 Series with a lower center of gravity and the ability to reach higher levels of performance, as proven by its class-leading 3.6 second 0-60 time. Embrace openness with the Panoramic Sky Lounge LED roof. This unique feature includes over 15,000 etchings in the glass that beautifully illuminate via six different LED ambiance lighting settings, relaxing you on all of your travels. SIT IN THE LAP OF LUXURY. At the pinnacle of functionality and comfort is the Rear Executive Lounge Seating Package. Ease the stresses of travel with functional comfort-based seating, footrests, and plush floor mats. The standard Wi-Fi Hotspot also allows you to easily stream content from your mobile device directly to the 10" entertainment screens and a Wireless Charging pocket conveniently charges the Display Key and your smart phone while on the road. VALET PARKING WITHOUT THE VALET. Remote Control Parking flawlessly parks you in tight spots. 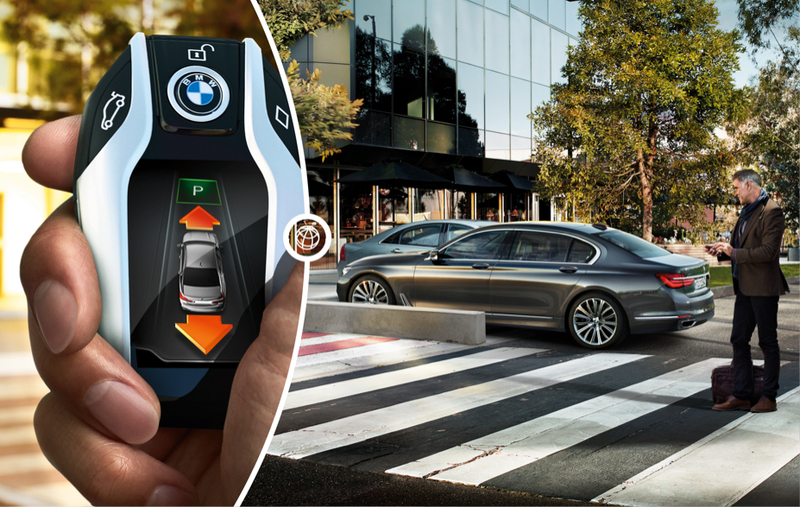 With a simple touch of the Display Key, the 7 Series will pull itself in and out of parking spots. While parking it brakes for pedestrians and other vehicles, keeping everyone safe and eliminating the possibility of scratches. The Display Key can also provide you with fuel status, estimated range, and service requirements on its LCD touch screen. 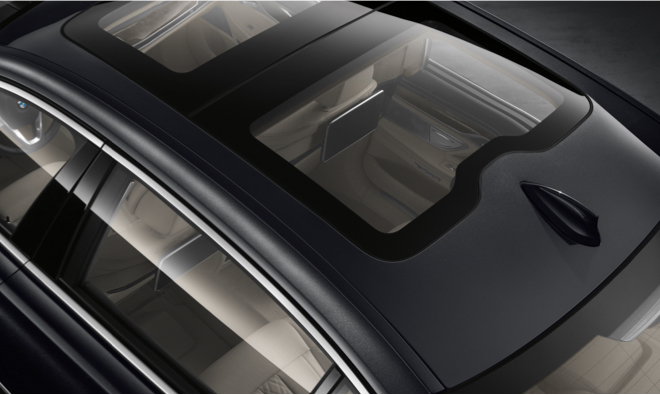 A removable 7" Touch Command tablet serves as your controller to a number of comfort and luxury features found in the 7 Series. You'll have complete control over multiple climate, seating, navigation, and entertainment functions such as the impressive 16-speaker Bowers & Wilkins Diamond Surround Sound System ‐ with the simple touch of your finger. 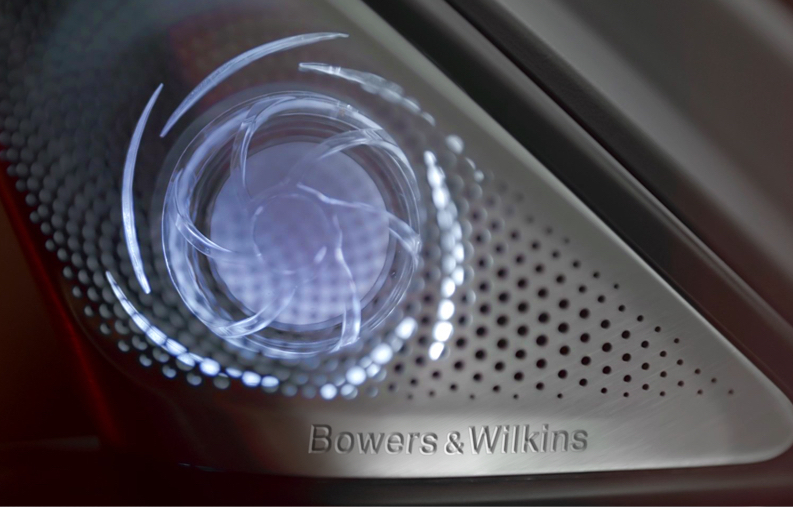 The Bowers & Wilkins Diamond Surround Sound System produces a studio-grade acoustic experience never before seen or heard in a car. This 16-speaker 1400W system with illuminated speakers uses Diamond tweeter dome technology and Nautilus design to reduce resonance, maximize clarity, and deliver breathtaking audio. iDRIVE 5.0 WITH GESTURE CONTROL. Navigate the iDrive 5.0 system with the world's first vehicle Gesture Control system, both offered as standard. 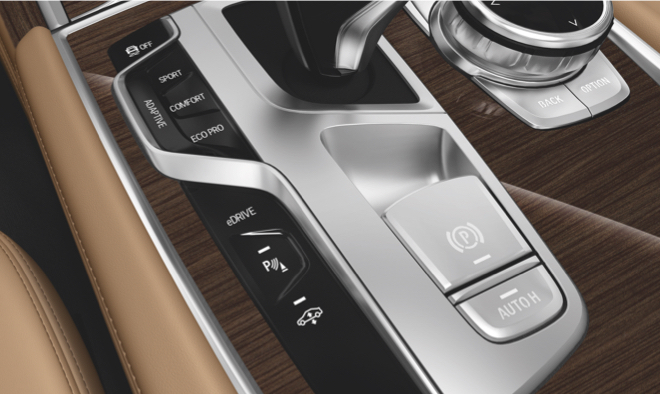 Five different gestures control various communication and entertainment features, such as audio volume, while an intuitive iDrive touch screen makes controlling the features of the 7 Series easier than ever. The Adaptive Mode adds a highly intelligent function to the familiar driving modes of Comfort, Sport, and ECO PRO. It automatically adjusts the Dynamic Damper Control, electric power steering, and automatic transmission in response to your driving style, road conditions, and the Navigation system data. In the 740e xDrive iPerformance plug-in hybrid, the eDrive button allows you to select whether you drive fully electric, fully gas, or an efficient mix of both. Based in technology from the BMW i8, iPerformance completely redefines the stereotype associated with traditional hybrids. 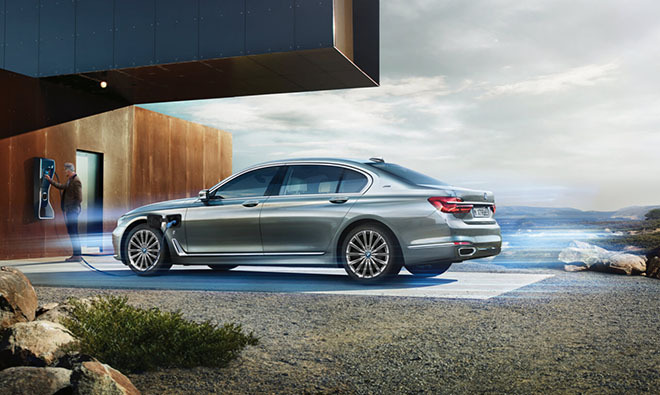 More horsepower, instant torque, and a 75 mph all-electric top speed are just a taste of how the iPerformance plug-in hybrid enhances the 7 Series under the hood. 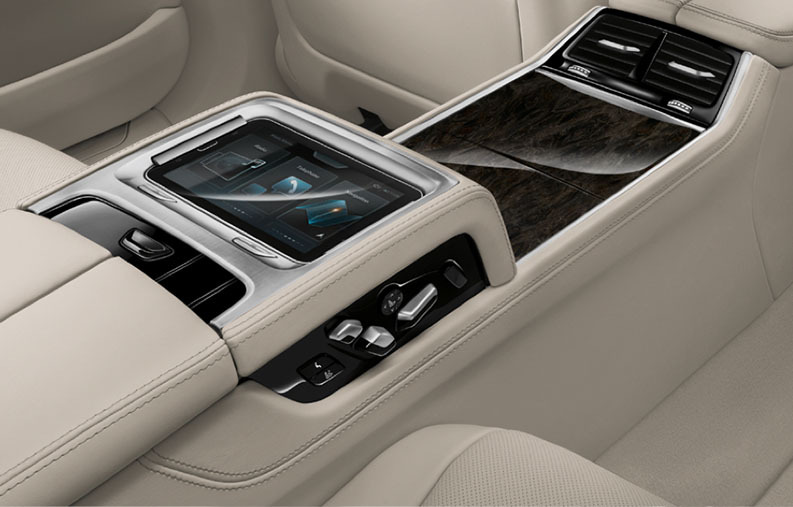 Additionally, you'll appreciate the ability to precondition the cabin from your Display Key or smartphone, providing the 7 Series with yet another level of luxury. THE HEART OF EVERY 6 SERIES. 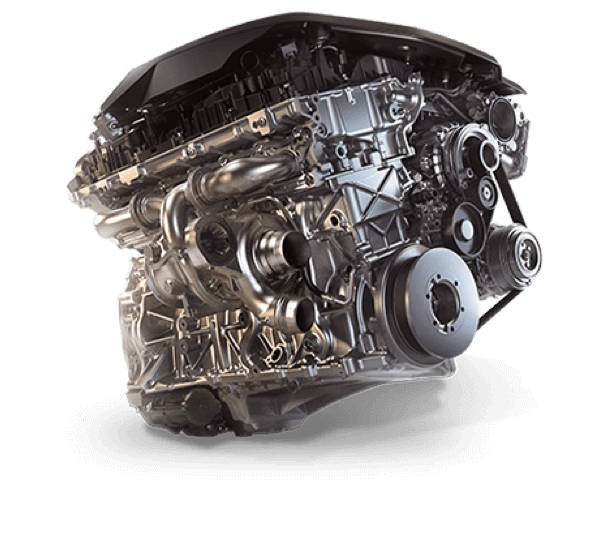 Advanced innovations like Valvetronic technology help this unique 3.0-liter inline 6-cylinder engine enhance performance and efficiency. Proof of its power is in the numbers: 320 hp, a 0-60 time of 5.4 seconds, redlining at an amazing 6500 rpm, and peak torque of 332 lb-ft that kicks in at 1380 rpm and continues to push you back in your seat all the way to 5000 rpm. 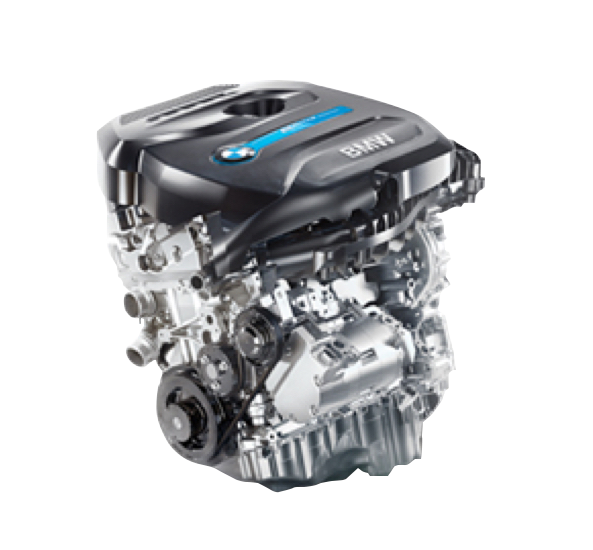 BMW's legendary 2.0-liter TwinPower Turbo inline 4-cylinder gasoline engine works in perfect harmony with an electric motor that's powered by a high-voltage lithium-ion battery. This synchronized combination earns you better gas mileage and an EPA rated 64 MPGe, more horsepower and instant torque when you push the throttle. All the while, still delivering an extra kick at higher rpms that's familiar to BMW owners. 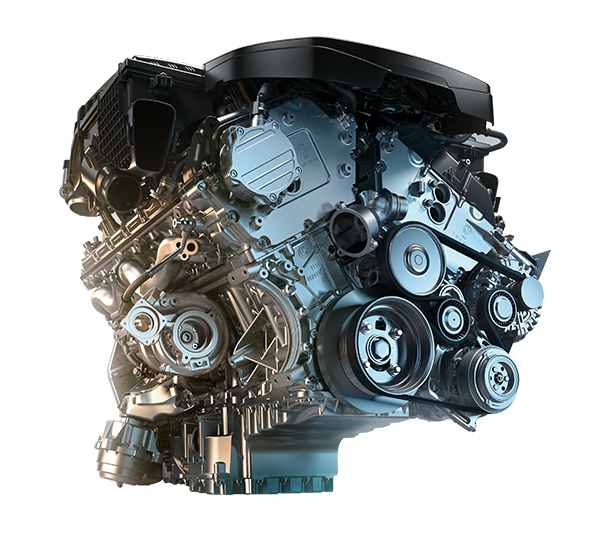 Our boldly powerful 4.4-liter V-8 engine has been extensively redeveloped to improve efficiency, while its 445 hp and 480 lb-ft of torque accelerates the 750i xDrive from 0 to 60 mph in a class-leading 4.3 seconds. 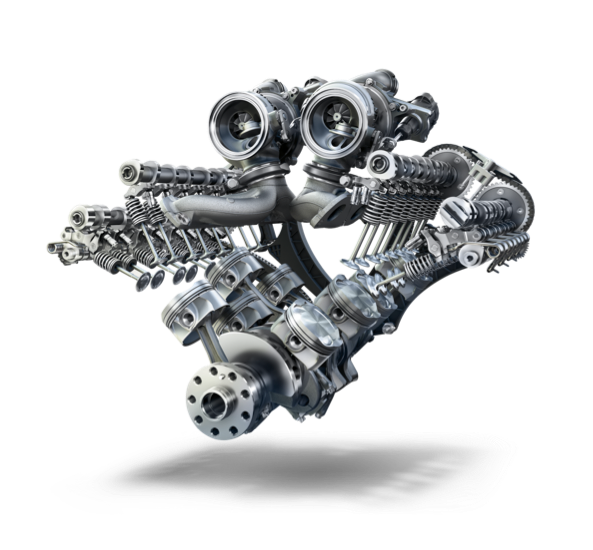 The M Performance TwinPower Turbo 12-cylinder gasoline engine is BMW's most powerful V12 production engine ever. With 601 hp and a peak torque of 590 lb-ft, it not only delivers 0-60mph acceleration in just 3.6 seconds, it also provides an emotionally rich, full-bodied 12-cylinder soundtrack ‐ accentuating the dynamic character of the BMW M760i xDrive. When combined with the all-aluminum block and closed-deck construction, this V12 engine transforms our most luxurious sedan into a luxury powerhouse. Active Comfort Drive with Road Preview provides a new dimension of superior driving dynamics. A frontal camera previews the road ahead to actively and intelligently adjust damper settings while working together with Active Roll Stabilization technology, minimizing body roll and creating the perfect balance of comfort and dynamics. The standard 2-Axle Air Suspension gives each drive maximum comfort, responsiveness, and performance by tailoring the vehicle's ride height and handling characteristics to the driving conditions. The result is optimal vehicle dynamics and a satisfying drive. 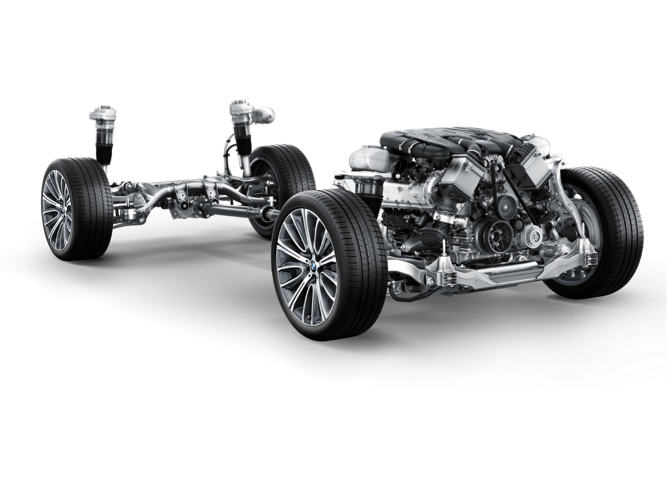 xDrive, BMW's Intelligent All-Wheel Drive System: Working in tandem with Dynamic Stability Control, BMW's xDrive all-wheel drive system, monitors the road's conditions. Once it senses excess slip, it smartly sends power to the wheel with the surest footing, improving traction and delivering neutral, responsive handling.